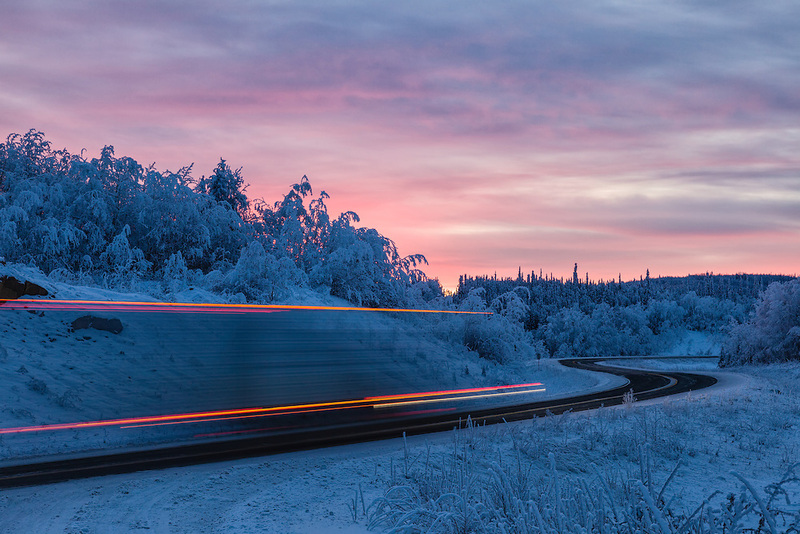 Lights from a truck on the Alaksa Highway are captured as a blur during this long exposure of sunrise somewhere near the border with Canada. Winter. Morning.